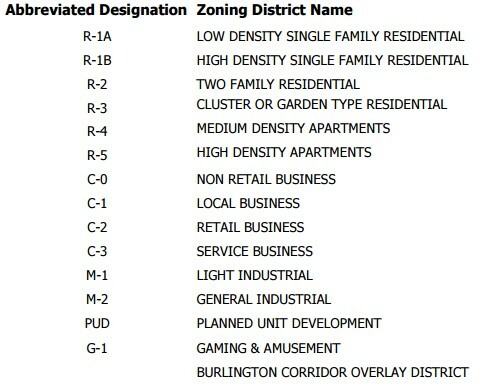 Zoning is the division of land into various zones within which various uses are permitted. Zoning districts are created to keep compatible uses together. Not all uses are suited for all zoning districts. Conserving the taxable value of land and buildings throughout the city. Site Plan Review The purpose of requiring site plan review is to ensure that proposed development conforms with these regulations and proposes a compatible arrangement of buildings, off-street parking, lighting, signage, landscaping, vehicle and pedestrian circulation, site drainage and open spaces. Conditional Use permits Conditional uses are those uses which generally are compatible with the permitted land uses in a given zoning district, which require individual review of their location, design and configuration and the imposition of conditions in order to ensure the appropriateness of the use at a particular location within a given zoning district, as specified in a conditional use permit. 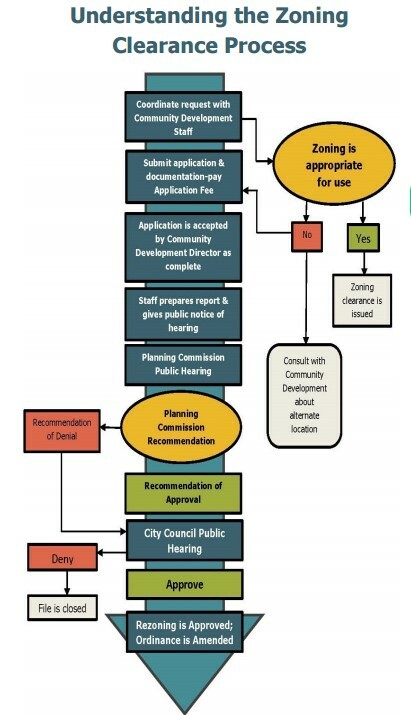 Variances The board of zoning adjustment may authorize a variance from the strict application of these regulations where, owing to special conditions, a literal enforcement of these provisions will, in an individual case, result in practical difficulties or unnecessary hardship.